Alak Zenkar Rinpoche is great Nyingmapa scholar from Eastern Tibet who is said to be an emanation of Do Khyentse and at present lives in New York. When we listen to the meditation bell, teaches Thich Nhat Hanh, we calm our thoughts and restore ourselves. Plum Village Meditations brings you four authentic meditations just as they are taught at this celebrated Zen sanctuary and peace center in southern France. 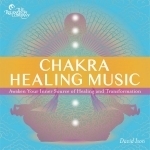 A moving mix of melody, rhythm, and chant specifically designed for yoga practice.